Following a long, hot UK summer, a mild autumn is keeping winter at bay for now. However, for manufacturing businesses with energy hungry assets, winter always adds to the challenge of managing energy costs. In winter 2018/19 bullish market conditions, (winter gas prices are 50% higher than this time last year) and additional third-party costs brought about by changing regulations mean budgets will certainly be stretched. With wholesale prices on the rise and higher network costs and capacity market charges added to the mix, it’s time for manufacturers to reconsider their options for cost reduction and find new ways to rebalance their energy budget. Energy flexibility is important for several reasons. From a business perspective, it can provide significant cost savings, create new revenue streams and improve site resilience. From a wider perspective, flexibility is supporting our transition to a cleaner, greener energy future and helping to ensure the energy system remains stable as it evolves. 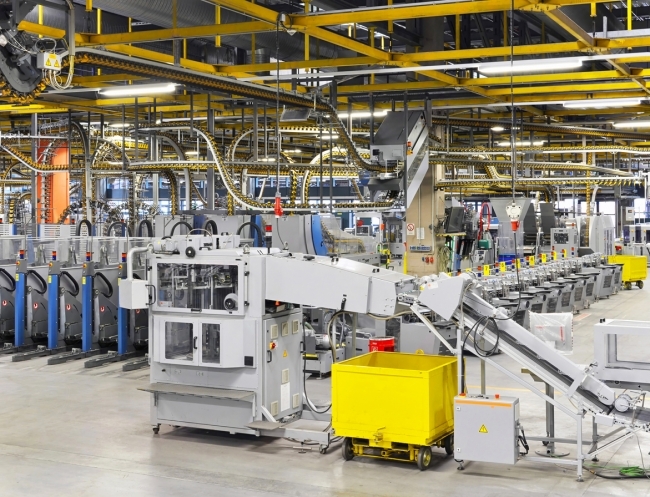 Despite the many good reasons to participate in Demand Side Response (DSR) and other flexibility schemes, there have historically been some obstacles preventing manufacturers from doing so. From the constraints of ageing assets, to the need to balance risk with reward, some businesses have found that for them, the numbers just don’t add up. National Grid is well versed in the obstacles to DSR participation, thanks to a consultation that began in July last year. It has started to address the issues with a revision of its balancing services and, as one part of this, has recently announced a two-year trial of short-term frequency response procurement, to begin in June 2019. This new type of DSR auction is intended to increase opportunities for those with smaller volumes and less predictable technologies. Auctions will take place on a Friday morning, with results announced during the afternoon. The new style auction will give participants a clearer idea of what is needed from them and when – as the first delivery window for businesses providing volume will begin at 11pm on the same day. The auction will also be structured to accept bids in price order, regardless of size. What all of this means is that real time response and the rewards it brings are no longer only of interest to large scale generators. This new DSR procurement method is the first tangible outcome of National Grid’s recent Product Roadmap and only the beginning of the reforms we can expect to see for reserve and response services. Flexibility is important and should evolve as our system evolves, so these changes are great news. For manufacturers who haven’t been able to take part before, it means that demand side response may be worth another look. For businesses who believe they can benefit from DSR but aren’t sure how to get started, finding an energy partner to lean on can be invaluable. Despite moves towards a more simple and accessible service structure, demand side response can still seem overly complex. With the possibility of unplanned events on site and penalty regimes to consider, committing to DSR may seem like a large leap for some manufacturers, particularly where interruption of continuous processes creates an uncomfortable level of risk or where internal resources are stretched. Earlier this year, we collaborated with Open Energi to help Aggregate Industries unlock their flexibility potential. Diversified revenues and asset optimisation is expected to cut their energy bills by 10%. As part of a blended service, Aggregate Industries used our Renewable Balancing Reserve (RBR) product to create new revenue from the imbalance market. RBR can be used alone or stacked with other DSR techniques and technology. It is again available through Energy as a Service and provides a great first step for businesses who want to test their flexibility potential without risk, commitment or penalty. Suppliers are increasingly offering support for their customers when it comes to energy management, energy efficiency and demand side response options, and businesses should talk to their supplier as a first step. At Ørsted, we’re always happy to offer advice and assistance on DSR projects to our customers and will do this as part of our Energy as a Service offering. It’s important to tailor services to meet the precise requirements of a business and we always make sure that that’s what we do. If on-site generation is needed to provide vital back up to grid services and enable DSR participation, we can even provide upfront investment for installation of generation assets where CAPEX isn’t available, so that businesses can finance these from OPEX over longer periods. As the UK moves towards its low carbon energy future, we’d like to help more manufacturing businesses to cut costs and rebalance their energy budgets. By working together, we can create a safe, sustainable and cost-efficient system that supports UK industry and helps it to thrive. You can find out more about our energy solutions here.